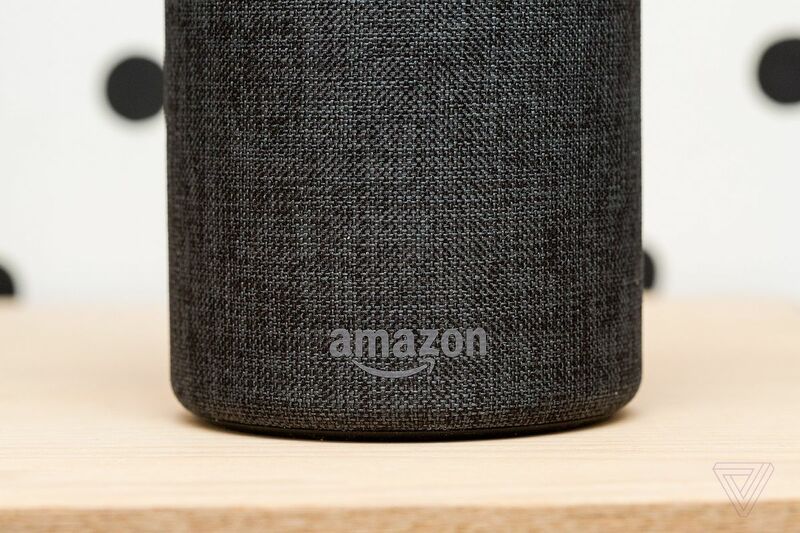 Amazon is making it possible for almost anyone to make their own Alexa skills with its new Alexa Skill Blueprints program. That means it’s now easier than ever to get Alexa to say whatever you want. Sure, third-party Alexa skills have been around for years, but actually writing one still meant that you had to have a fairly good understanding of computer coding. And that’s a lot of effort to ask of people simply to get Alexa to roast their family members. I’m not saying it wouldn’t have been worth it, but Blueprints makes that all much, much easier. With Blueprints, programming Alexa is as easy as filling in a couple blanks, Mad Libs style. To get started, head over to blueprints.amazon.com, and log into whatever Amazon account you use for Alexa. Once you’re logged in, you’ll be presented with a list of possible options for making your skill. The new Skill Blueprints are essentially easy-to-use templates for creating your own Alexa skills. Building the skills is easy: just pick your template, and fill out the blanks. Some templates are a little more involved than others. For example, the compliment or insult ones just ask you to fill out a list of phrases you’d like Alexa to randomly choose from and pick a name for the skill, and the trivia games basically amount to adding a list of questions. But others, like the babysitter blueprint, are far more complicated; there are fields for things like allergies and medications, daily schedules, where to find things in the house, and emergency contacts. 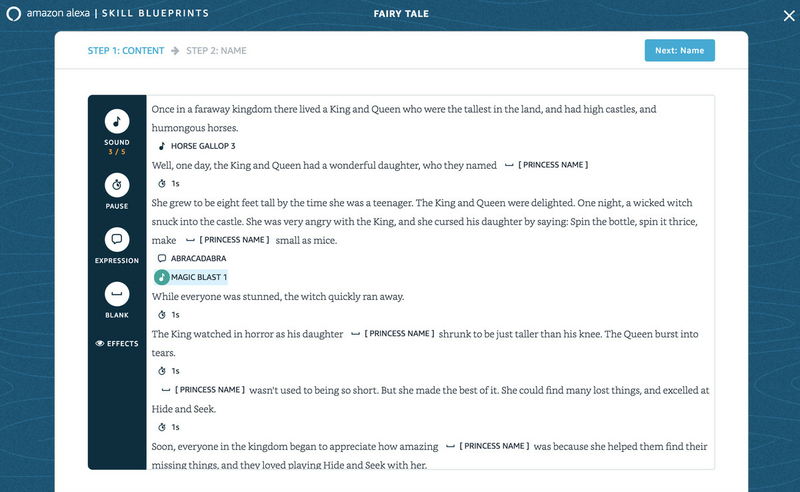 The various storytelling tools have a whole interactive text editor, complete with sound effects and fill in the blank fields (to let you insert things like the name of your kids into the story) that need to be added separately. Once you’ve finished your blueprint-generated skill, simply hit the “create skill” button to finalize. That will push it live to your account and whatever Alexa device(s) you have. The process does take a few minutes to roll out, so you will need to be a little patient. Then, just trigger the skill by asking Alexa, as you would any other Alexa integration. 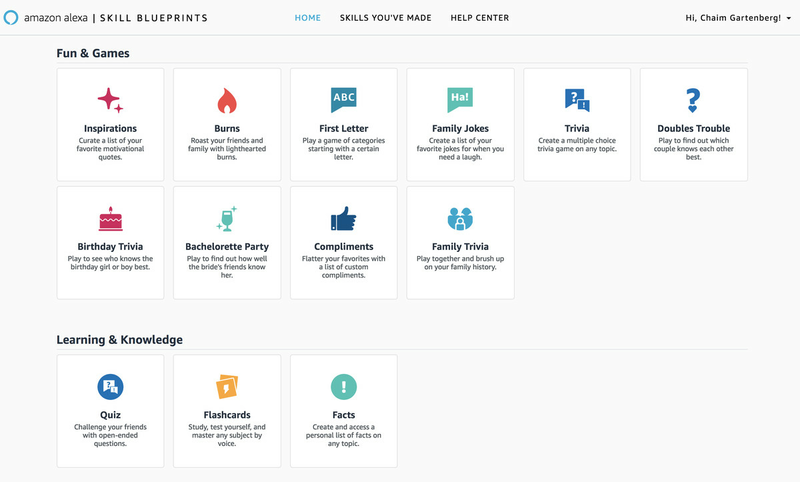 You’ll also be able to see a list of all your installed skills and edit them through the Alexa Blueprints site. Amazon offers a lot of options in terms of what you can build with the various blueprints, but you’re very much limited to the sandbox Amazon is offering here. So while there are a bunch of trivia templates (for everything from family trivia to multiple choice questions to couples), you still have to play inside Amazon’s specific rules, which limits you to text-based answers. 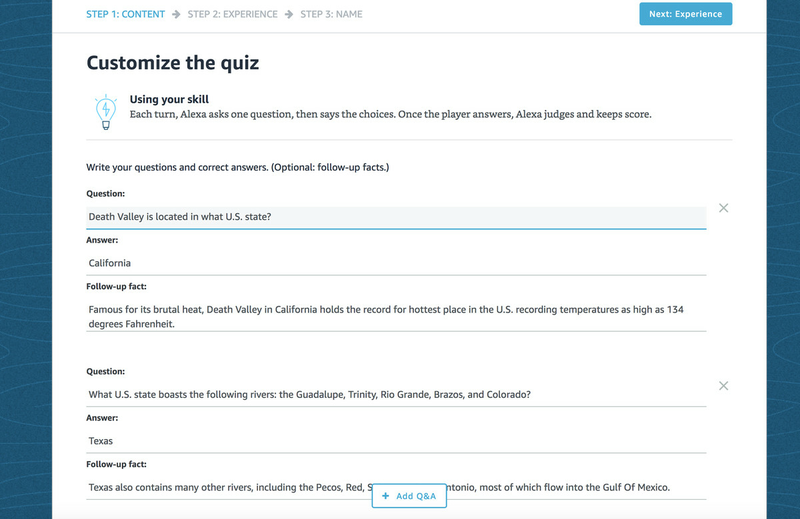 (So if you want to build a trivia game that plays song snippets, for instance, you’re out of luck.) This also means you can’t hijack standard Alexa commands like “play music” with some unrelated response. The main difference between Blueprint-generated skills and full-fledged Alexa skills is the scope. While developers can publish their skills to the broader Amazon Alexa skill marketplace for anyone to enjoy, skills made with Blueprints are tied to your Amazon account and will only work on your devices. That’s both good and bad. If you’re making a skill with detailed information about your home for guests or a trivia game with your family history, you might not want that to be public. But that also means there’s no way to share your awesome, homemade Game of Thrones trivia game to your friends if they want to install it on their own devices. While many people are probably going to just use Blueprints to say weird stuff for quick viral fame, Amazon also envisions more practical uses for the custom skills. The Houseguest template — which lets users leave easily accessible information about where to find things in the house, the Wi-Fi password, or how to lock up the back door or use the TV — seems tailor-made for Airbnb hosts. The templates for flash cards and quizzes look legitimately useful for studying. Alexa Skill Blueprints is rolling out, and it’s going to be very interesting to see what people do with the new features in the coming days and weeks. But there are already millions of Alexa devices in people’s homes around the world, and Amazon has just made it possible for almost all of them to customize those products like never before. Who knows what will happen next?